Brush oil on a non-stick 8-inch skillet. Place one tortilla in pan over low heat and warm for about 1 minute. Break egg onto tortilla; scramble gently with a fork, spreading egg over surface of tortilla. As egg begins to cook, arrange pickled pepper rings evenly over surface; cover with ham, then cheese. When eggs are set (about 3 to 4 minutes), place second tortilla on top and flip the quesadilla to toast the other side. 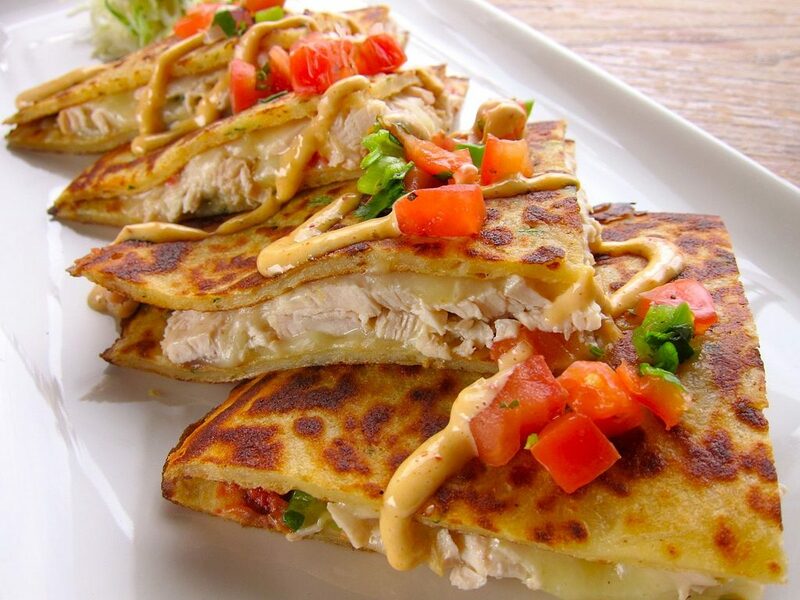 When quesadilla is heated through, slide onto plate and cut into wedges. Serve hot.